↑ Pae, Peter. 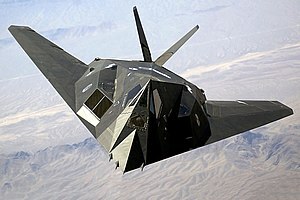 "Stealth fighters fly off the radar". Los Angeles Times, 23 अप्रैल 2008. Retrieved: 27 अप्रैल 2008. ↑ Aronstein and Piccirillo 1997, p. 267.